The rugged and protective eternaLight leather clip case. EternaLight Lithium Batteries (3) - Now your flashlight can have a 10 year shelf life and last longer when powered on! EternaLight model 3 Plus kit! Get the leather carrying case above and 3 lithium AA batteries. 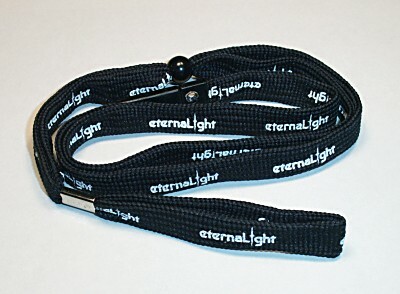 Lanyard for EternaLight Model 3/4 - High quality black nylon lanyard imprinted in white with the EternaLight logo.